Philip lives in Conception Bay North, on the east coast of Newfoundland. He's medically retired and has been HIV positive for over 30 years. He's also a volunteer HIV/AIDS advocate, activist, and community educator. Philip does HIV/AIDS prevention education at universities, colleges, high schools and elementary schools, and at community events. 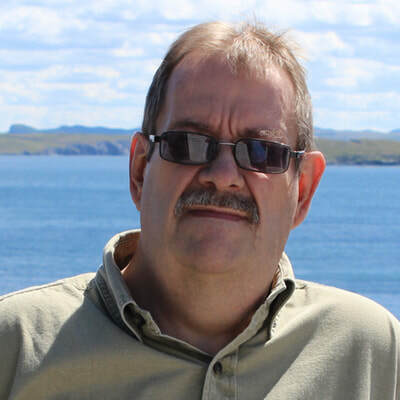 He's served many years on town council and is currently the Mayor of the town of Upper Island Cove, previously serving many years on town council. Philip has participated in many research projects as both an investigator, an adviser, a research subject, and community scholar. Over the past two decades, he has participated in a variety of HIV/AIDS organizations at the local, provincial, national and international levels. Most notable was Philip's service to the AIDS Committee of Newfoundland and Labrador where he served as a Board member and Chair. Philip has had research published in the conference abstracts for the XII and XIII International AIDS Conferences, the Canadian Medical Association Journal as well as a variety of newspapers and magazines. Philip has had significant media exposure over the past 20 years including TV, radio and newspapers. Phil also spends time advocating for inclusion initiatives for people with disabilities.